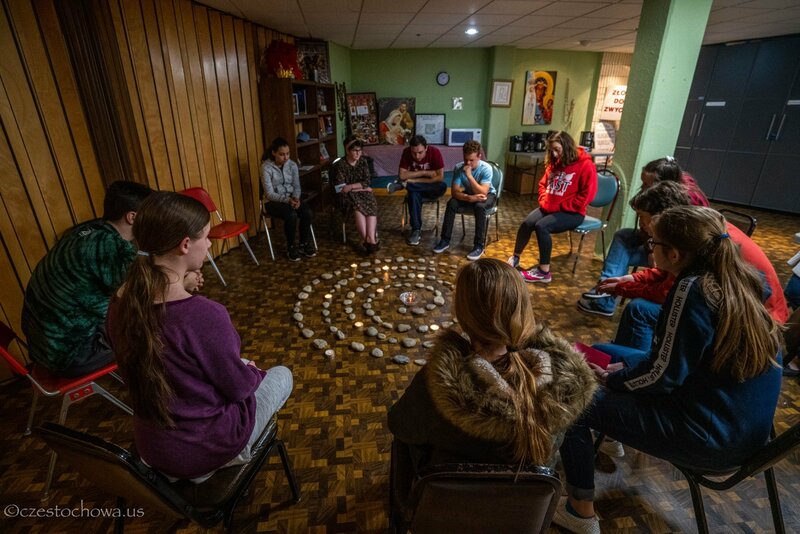 On Friday, April 12th, Our Lady of Czestochowa Youth Group was hosting a Lenten Night of Recollection for teenager. The theme of the night was “Into the Desert – getting through lent with the Word of God”. The main focus of the retreat was learning more about the Bible, discovering new ways how one can meditate it and get closer to God. Our group especially focused on the practice of Lectio Divina. Using stones with words from Psalm 23, the teens reflected upon the Psalm and what it meant in their personal life. Our group has also participated in the Stations of the Cross in Our Lady of Czestochowa Chapel as well as in Adoration of the Most Blessed Sacrament and Confessions.